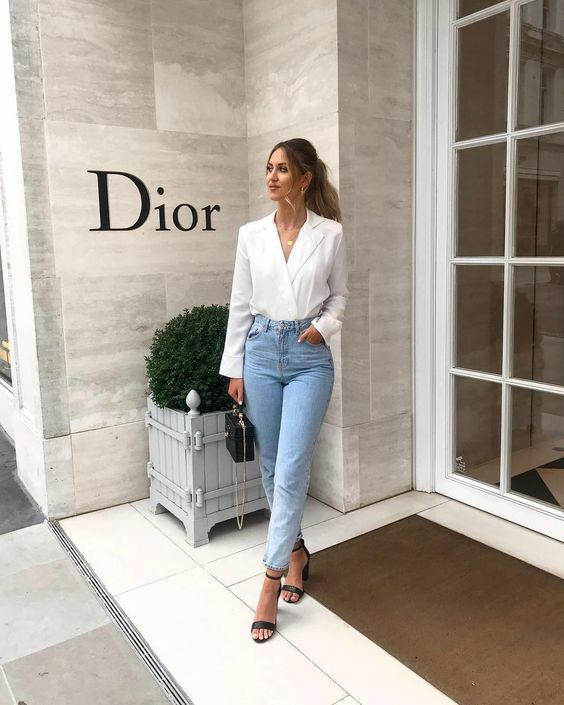 Mom jeans are the hottest denim trend currently and we’ve prepared some chic and bold looks for spring and summer that will prove that mom jeans aren’t worse than skinnies! 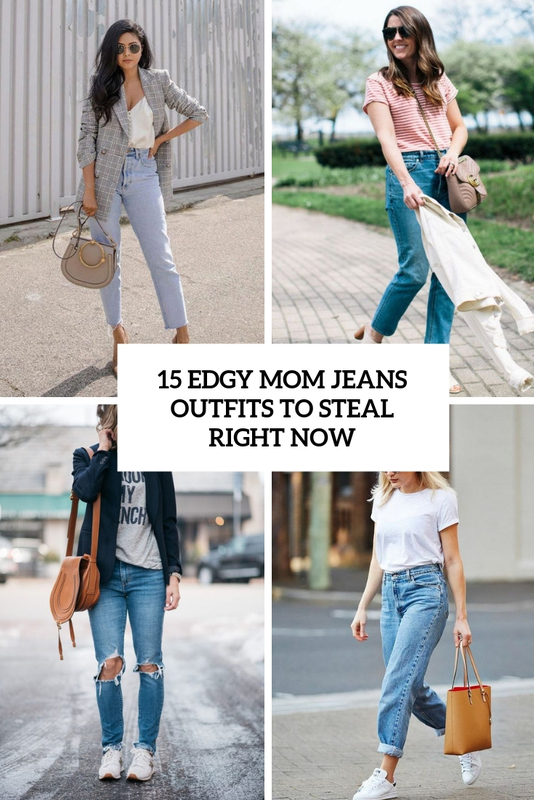 First of all, which is the trendiest mom jeans idea for now? 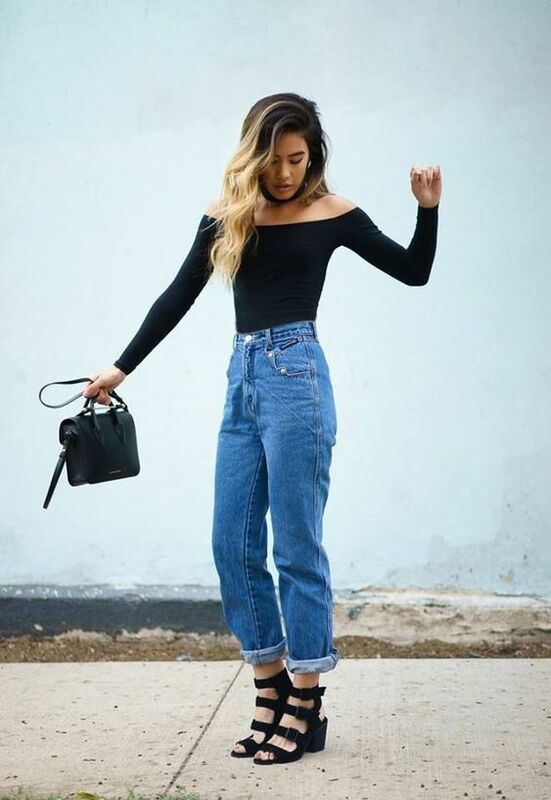 Right, these are high-waisted blue cropped mom jeans – a perfect way to modernize your outfit at once without changing much. 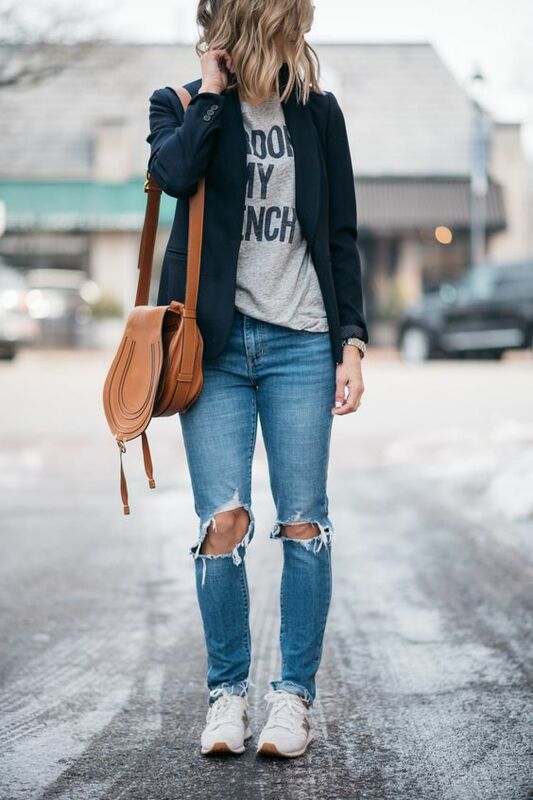 Better skip ripped ones and prefer only a distressed hem and no other detailing. Second, what to wear them with? 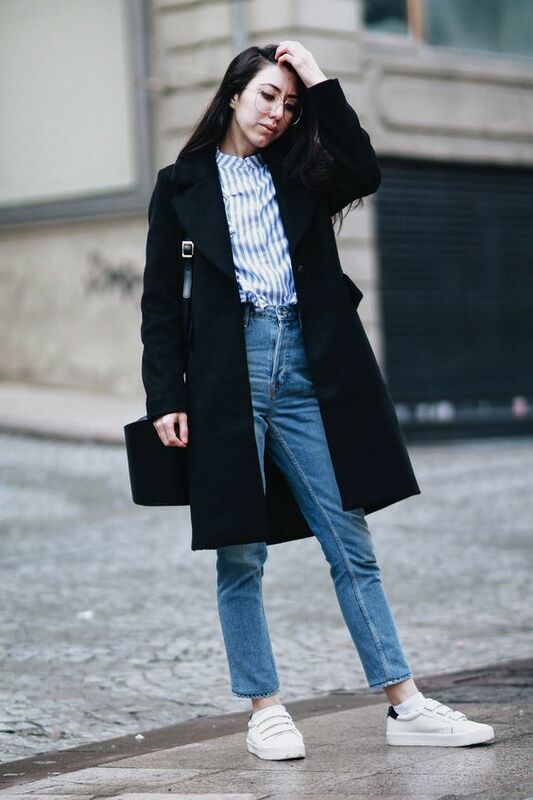 Mom jeans look good with nay kinds of tops, tees, button downs, you may add a blazer or a duster on top if it’s chilly. 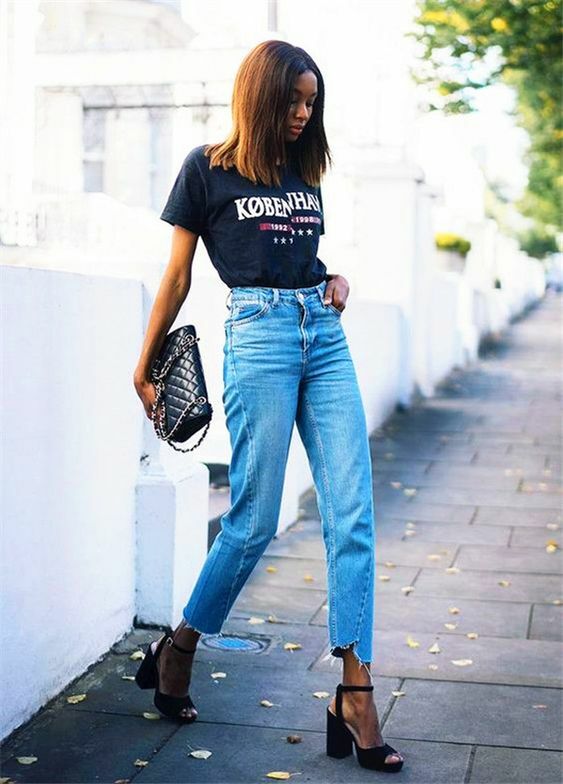 As for shoes, prefer sneakers, trainers, slingbacks or mules to keep the outfit trendy. 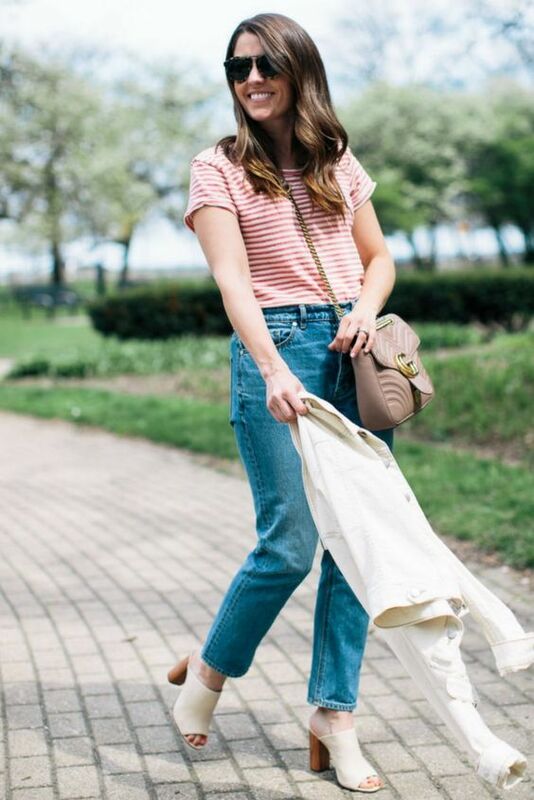 Add a comfy bag or tote and you are ready to go!